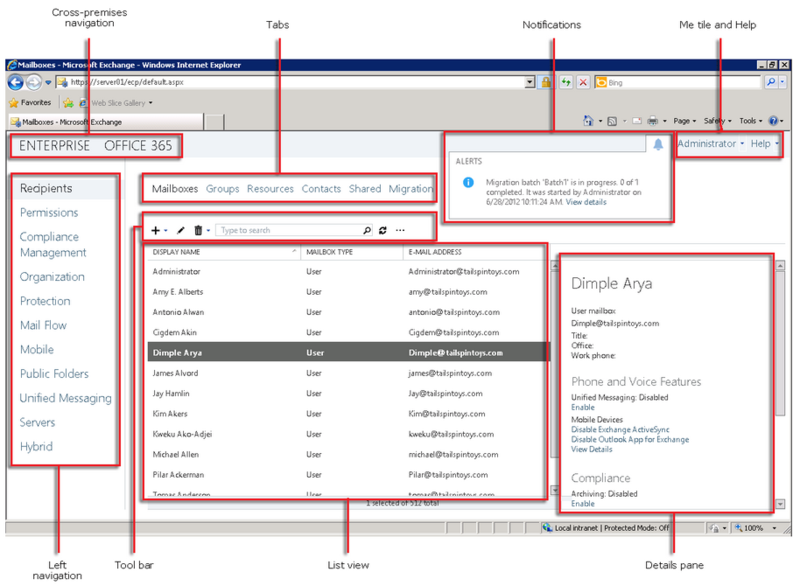 Recently, Microsoft released Microsoft Exchange 2013 Preview which we covered in our blog. The new edition of Exchange Server also get a new tool to manage the Exchange organization. This tool is called EAC or Exchange Administration Center and combines the consoles ECP (Exchange Control Panel) and EMC (Exchange Management Console). The new console is only available with the release site, so you do not need to install it anywhere, as it did in earlier releases of Microsoft Exchange, where we had to install the Management Tools. With this move, the new console has gained mobility and allows you to manage Microsoft Exchange servers from any computer that meets certain requirements, however. To start EAC, open the console ECP former address in your browser. It is important to the browser in which the EAC will run the console to disable popup blocking. Otherwise, the console will not work as it should. Tagged EAC, ECP, Exchange Administration Center, Microsoft Exchange 2013. Bookmark the permalink.